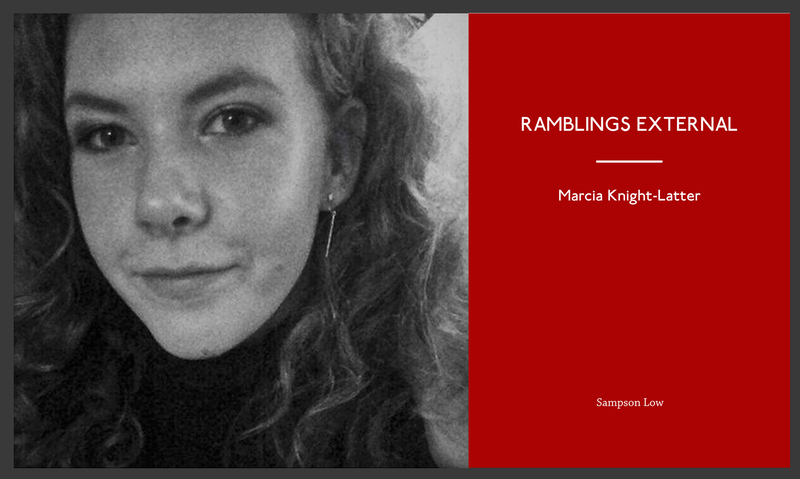 Marcia Knight-Latter is a poet and writer, currently studying Creative Writing with Psychology at Kingston University. The Writer’s Centre Kingston Sampson Low Poetry Pamphlet series has been designed to evidence the remarkable contemporary and innovative poetry being written by current and recent Kingston University Creative Writing students, this series of beautifully designed pamphlets each features a suite of poems, most often on one theme or in one style, by a solo author. The series mark the first publications of many poets who are very likely to be significant presences on the UK scene and beyond in the coming years.